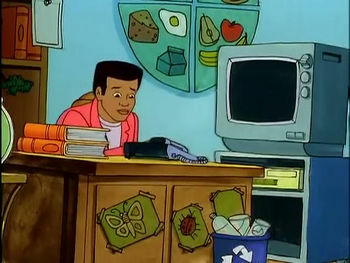 When The Magic School Bus "Family Holiday Special" aired in 1996, there was an additional part about the 10th anniversary of The Magic School Bus, hosted by the voice actor of the producer, Malcolm Jamal Warner. 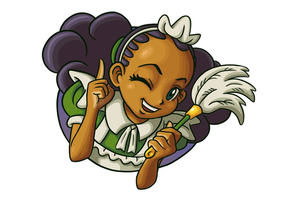 As with the original 1994 airing of In the Haunted House and the missing Halloween special, this rarity was uploaded to Vimeo on February 20, 2015 by Dolly Parton (who did the voice for Murph in the episode) you can watch the entire special below. 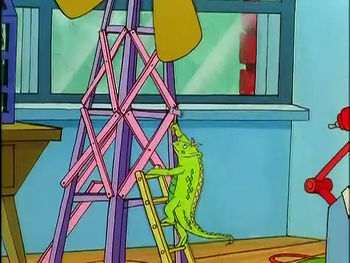 Liz hammering a fan (From the episode: "Cold Feet"). The producer from the episode "Cold Feet" as seen in the 2nd half opening. 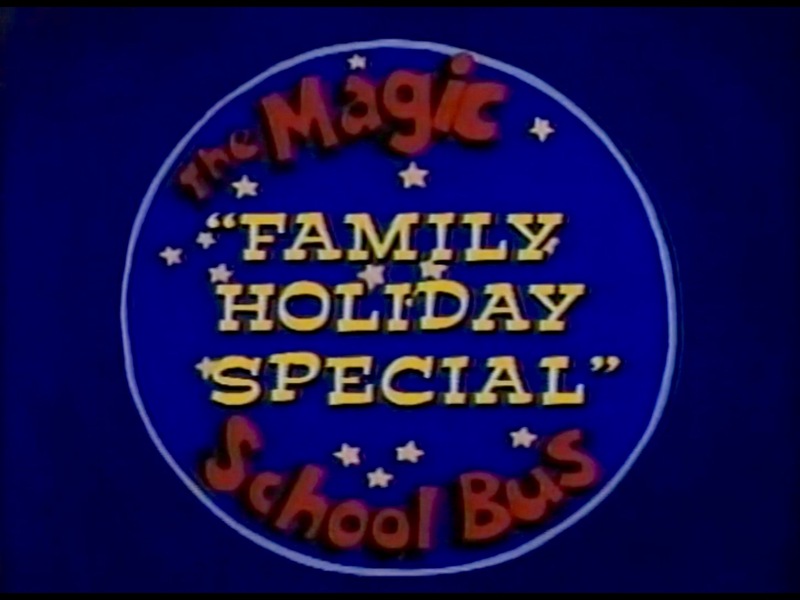 The "Family Holiday Special" in it's entirety.